Brazil has made an unprecedented commitment to climate risk transparency by becoming the first insurance market in the world to declare its commitment to promoting dialogue on the recommendations of the Financial Stability Board’s (FSB) Task Force on Climate-related Financial Disclosures (TCFD). The Rio declaration on climate risk transparency by the Brazilian insurance industry states that left unchecked, climate change poses a serious threat to the sustainability of insurance markets and the financial system, and of communities and economies around the world. “Managing risk is the core business of the insurance industry. This includes understanding and reducing risks in the insurance industry’s underwriting and investment activities associated with both the physical impacts of climate change and the transition to a low-carbon economy,” said Marcio Serôa de Araujo Coriolano, President of the Brazilian Insurance Confederation (CNseg). Financial risks due to climate change primarily present themselves through the physical impacts of climate change—for example, increasing frequency and severity of droughts, floods and storms due to rising global temperatures—and through the transition to a low-carbon economy—for example, developments in climate policy, new disruptive technology, or shifting investor sentiment. “Climate risk transparency is essential to the sustainability of insurance markets and the financial system. Understanding the financial impacts of climate risks on the insurance industry is part of my core mandate as an insurance regulator and supervisor,” said Joaquim Mendanha de Ataídes, Superintendent of the Brazilian Superintendence of Private Insurance (SUSEP). Brazil is Latin America’s largest insurance market and one of the few markets in the world where leading insurers, the national insurance association (CNseg), and the national insurance supervisor (SUSEP) have all signed UN Environment’s Principles for Sustainable Insurance, creating a shared aspiration. The Rio declaration was signed last 15 May at the event, Shaping the sustainable insurance agenda in Latin America, convened by the PSI and CNseg, and supported by SUSEP. 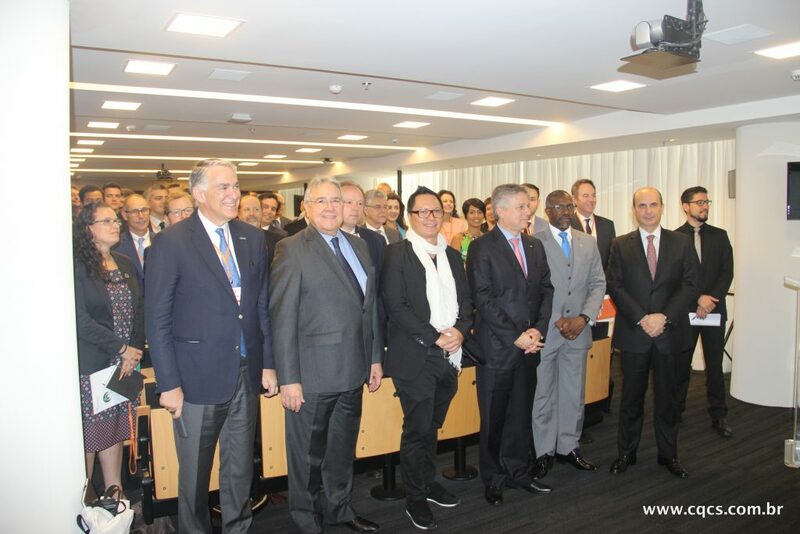 The event brought together leading insurers, insurance regulators and supervisors from 15 jurisdictions, investment firms, international initiatives, UN agencies, business and industry, civil society organizations, and academia. A diverse group of participants attended this landmark international event, coming from Latin America—including Brazil, Costa Rica, Guatemala, Mexico and Paraguay—and from other regions around the world—including Australia, Belgium, France, Germany, Guernsey, Japan, South Africa, Switzerland, The Netherlands, UK and the USA. The aim was to discuss ways to strengthen the insurance industry’s contribution to building resilient, inclusive and sustainable communities and economies as risk managers, insurers and investors. Other topics that were covered include how the PSI is shaping the global sustainable insurance agenda; managing environmental, social and governance risks in non-life insurance underwriting; key sustainability challenges and opportunities in the life and health insurance business; the significance of sustainability issues to insurance regulation and supervision; and sustainable investment strategies, innovations and trends in the insurance industry. The next PSI event in Latin America will be the first sustainable insurance market event in Costa Rica, which will be held in San José this August.